CAP-CP: CAP Canadian Profile | Gorman Redlich Mfg. Co. Similar to our existing IPAWS Profile-based Common Alerting Protocol equipment for use in the United States, our CAP-CP equipment is an affordable, feature-rich, robust solution for broadcasters and cable providers seeking to alert their viewers and listeners to emergency situations. Our new CAP-CP equipment features an all new user interface and additional hardware to help meet the specific needs of Canadian television and radio broadcasters as well as cable providers. Interfaces with primary and secondary Pelmorex alert streams. External hardware control via relay contact closure. Analog program audio loop-through with relay interrupt for alert audio. Multiple options for visual crawl/slide output. Remote access via optional VNC interface (not included by default). Internal logging of CAP processing activity. Internal storage of received CAP alerts and attached files. Ability to log activity to USB or network printer. Ability to send activity logs via email server (SMTP server configuration required) for up to 5 recipients. Simple to connect, easy to use. As few as two connections required for operation. 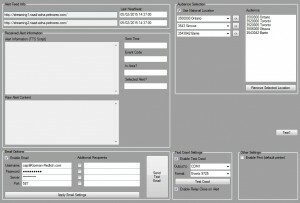 Easy configuration and monitoring using attached keyboard, mouse, and monitor or remote access. Text-to-speech converter to generate alert audio if no audio is included with received alert. Software updates via LAN or USB. 1U rack space requirement for small equipment footprint in 19″ rack. Dual 10/100/1000 Gigabit RJ45 network connections. Fast 2GHz Intel quad-core processor. The above photos show the rear panel of the Canadian version of the Gorman-Redlich CAP equipment, including the interface for the internal relay board. 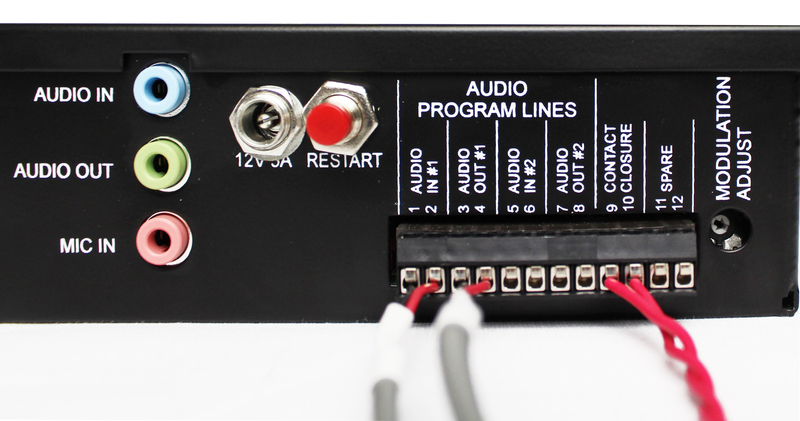 This board is what allows for interrupting program audio as well as providing a contact closure for external equipment such as character generators or video insertion tools. Analog audio is looped in to the unit at terminals 1/2 and 5/6 – monaural audio loop through is depcited in the images above. Under normal operating conditions, that program audio is looped back out through terminals 3/4 and 6/7. When a valid, geographically relevant message intended for broadcast is received, the program audio is replaced with the attention tone followed by a text-to-speech (TTS) rendering of the alert information. Additionally, upon receipt of such an alert, a relay contact closure is provided to control external equipment that is in use at your station or headend.